Leo, younger brother of Hall of Famer Jim McKenna (1950), was a four year letterman and a brilliant All Scholastic quarterback during a golden era of Concord High football. He was also a line drive-hitting catcher/outfielder in baseball, and a stylish forward in basketball. As a sophomore, McKenna took over as coach Bernie Megin's starting quarterback after an injury to Tony Basile forced coach Megin to shift star Jackie King from quarterback to halfback. McKenna made his first start in a rugged 18-14 victory over Woburn, a game in which the speedy King scored on three long touchdown runs. McKenna never lost a regular season game in quarterbacking Concord to two straight bowl appearances, including a 20-13 victory over Wilmington (NC) High School in the 1951 Piedmont Bowl. 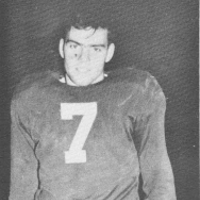 McKenna threw eight touchdown passes in 1951, including one in the Piedmont Bowl. A straight A student, McKenna was known for his heady play calling, cleaver ball handling, and his inspired leadership on the field. He was a fierce competitor who always somehow found a way to win. He was the "Cover Boy" quarterback of Concord High's 59 game winning streak. He is also the only quarterback in the history of Concord High Football, maybe all of football, to perform in three high school operettas. Leo and tackle Bruce Woodworth were the CO-MVP's of the 1951 Concord High football team. McKenna earned three varsity football letters at Dartmouth College, where he captained the "Big Green" as a senior. Unfortunately, he broke a wrist three days before Dartmouth's opener and sat out his entire senior season. During his career at Dartmouth, Leo completed better than 50% of his passes. He was also a tiger on defense where he played safety. As a junior, he booted an extra point to help Dartmouth beat Holy Cross, 27-26. McKenna earned an MBA from Dartmouth's Amos Tuck Graduate School of Business Administration. He is a Successful financial Consultant with accounts spread over the four corners of the globe, and a founding director of the Cleveland Cavaliers of the National Basketball Association. 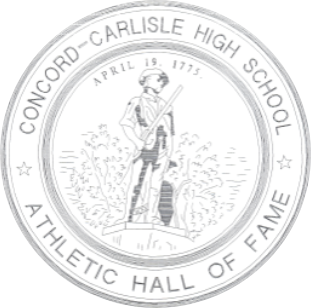 For more information about the Concord-Carlisle High School Athletic Hall of Fame, please email Joe Leone at cccoach11@gmail.com.